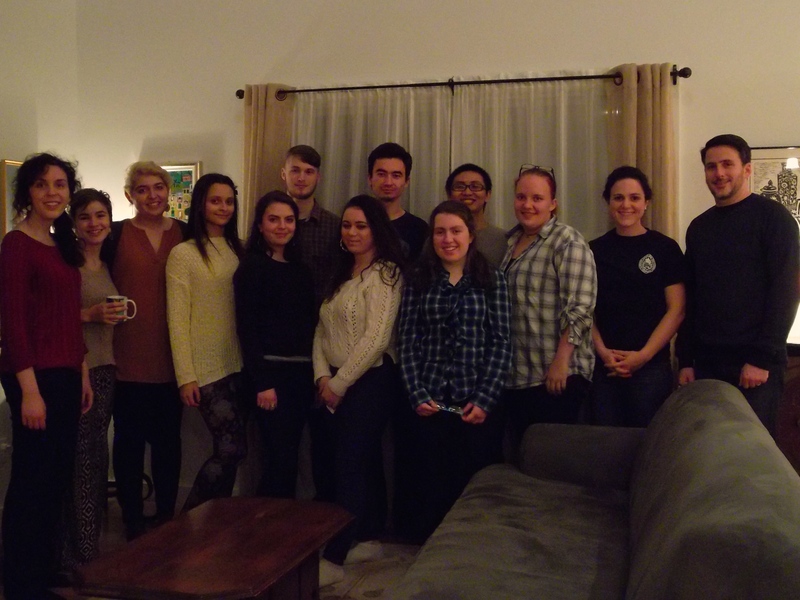 On Friday, December 12, members of the Bard Debate Union gathered at coaches Ruth and David’s house to celebrate a wonderful Fall 2014 semester. There was delicious food, funny board games, a toasty fire, and a sparkling apple cider toast to celebrate a semester of great debates as well as Ruth’s recent completion of her PhD. We could not be happier about all of the new students who joined the team this year and the hard work and dedication that everyone showed this semester. Wishing you all a very happy winter break and looking forward to seeing everyone at the end of January!!! Go Bard Debate!!! Bard Debate Union: Fall 2014!